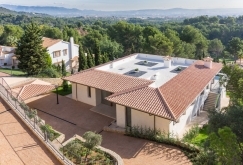 Modern first class, new constructed chalet located at Son Vida. Uninterrupted views with Southwest orientation. 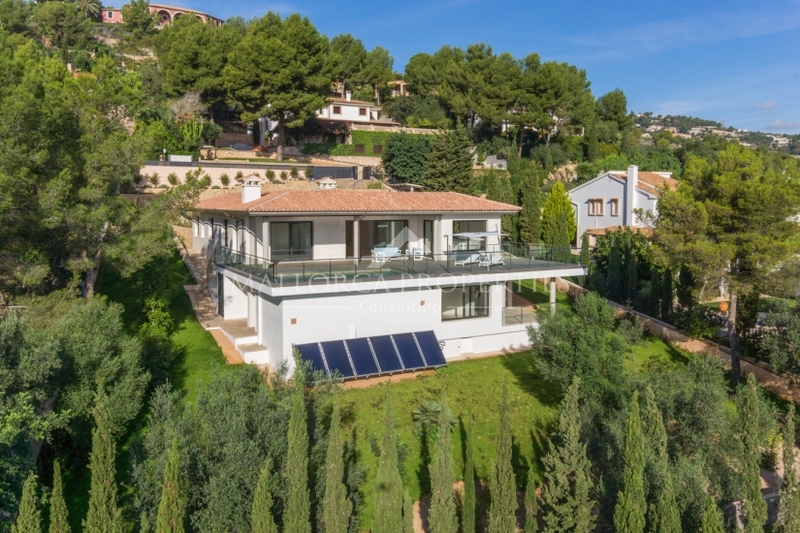 Plot makes 2.000m², large garden with automatic watering system and swimming pool. Constructed area of 512m² plus 80m² of covered porches and 159m² of uncovered terraces. Master bedroom with big closets and bathroom, three double bedroom with en-suite bathrooms, guest apartment with its own bathroom. Large living-room with fire-place, kitchen completely equipped with mod. Mobalco and Gaggenau appliances, Corian countertops. Washing room and on-surface garage. Heating, hot-cold air-conditioning. Domotic system, Schotten platform, Supergradhermetic blinds and alarm. Son Vida is home to the elite 5 star Hotels Son Vida and Hotel Arabella as well as the Son Quint & Son Vida Golf Clubs. 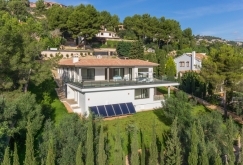 An elegant, residential area with close proximity to Palma city, motorway connections to all parts of the island and 10 minutes to the airport makes Son Vida one of, if not the most prestigious areas on the entire island. There is a security office at the entrance to the Son Vida residential area which is manned 24-7 thus ensuring maximum security for all residents. 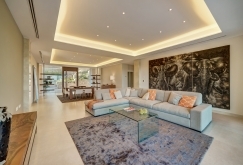 The properties here are diverse, magnificent, exquisite and the prices reflect this. 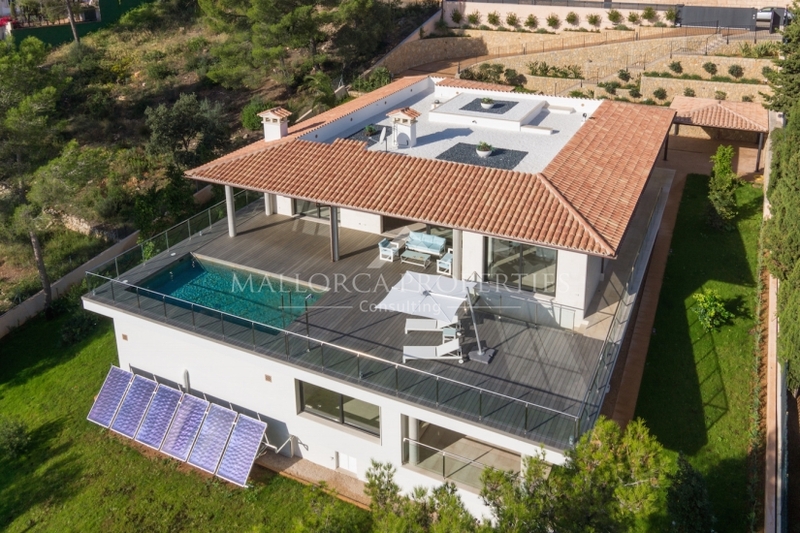 One of the most sought after areas on the island. All particulars supplied are to be considered as a guideline and are non binding. The Seller is responsible for the Agency Fees/Commission on the transaction. The Buyer is liable for all taxes, legal, notary and land registration fees applicable to the purchase contract. All information supplied by third parties has been carefully researched however we assume no liability for faulty, misleading or failure to disclose relevant information from the said third parties. We also do not assume liability for any price changes, withdrawal of sale or any other terms and conditions imposed by the principal parties to the sale and purchase agreements.